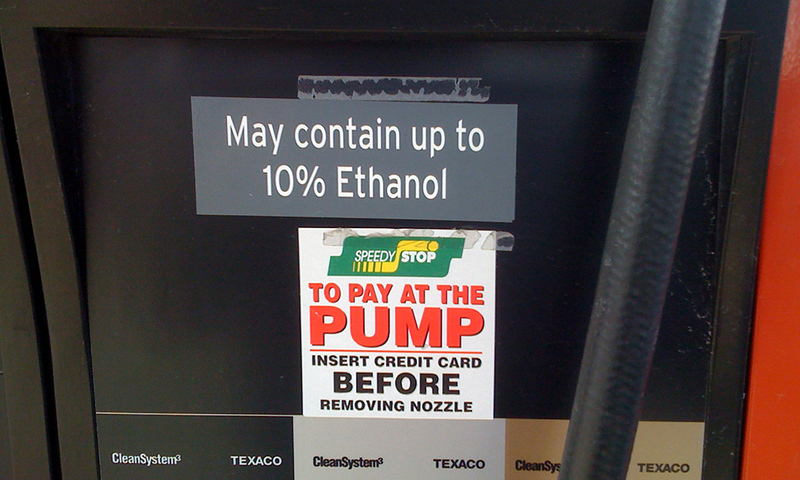 Ethanol, which is produced from corn, is commonly-used as an additive in engine fuel as a way to reduce harmful emissions and scale back U.S. reliance on foreign oil. But since ethanol is an oxygenated fuel, its use results in a lower energy output, as well as increased damage to engines via corrosion. But now a research team, led by William Jones at the University of Rochester, has developed a series of reactions that results in the selective conversion of ethanol to butanol, without producing unwanted byproducts. In fact, Jones was able to increase the amount of ethanol converted to butanol by almost 25 percent over currently used methods. Jones describes his process in a paper just published in the Journal of the American Chemical Society. Converting ethanol to butanol involves creating a larger chemical molecule with more carbon and hydrogen atoms. Although both molecules have a single oxygen atom, the higher carbon-to-oxygen ratio in butanol gives it a higher energy content, while the larger size make it less volatile. One method of converting the ethanol to butanol is the three-step Guerbet reaction, which involves temporarily giving up hydrogen atoms in an intermediate step, then adding them back in to create the final product. One problem with the Guerbet reaction is that an intermediate product—acetaldehyde—can react with both itself and the butanol product to create unwanted molecules. Jones modified the Guerbet reaction by using iridium as the initial catalyst and nickel or copper hydroxide, instead of potassium hydroxide (KOH), in the second step. While the best current conditions for the Guerbet reaction convert ethanol to butanol with about 80% selectivity, Jones’ reaction produced butanol in more than 99 percent selectivity. No undesirable side products are produced. Jones says the process currently terminates after one day because one or more of the substances—the iridium, nickel, and copper—has broken down. The research by Jones was carried out under the NSF (National Science Foundation) support of the Center for Enabling New Technologies through Catalysis, an NSF Center for Chemical Innovation program.